Spend the most romantic day of the year in the most romantic place in the world! There&apos;s a plethora of events and dinners all with love on the brain. Which ones will you attend? If that someone special is a golf (and/or celeb) fanatic then you are in luck! February 4-10, Pebble Beach hosts the AT&T Pebble Beach Pro-Am with a star studded line-up of celebrities and golf professionals for a tournament all in the name of charity. 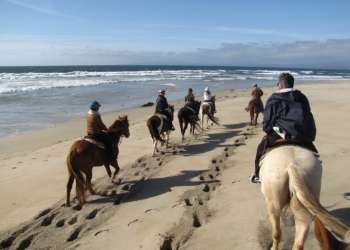 The epic ocean views and expansive greens alone are sure to have you oozing with feelings of amor. Hit the road with your sweetie in hand for the River Road Wine Trail Valentine&apos;s Day Passport! Taste your way around 7 of the artisan wineries in the stunningly scenic Salinas Valley. Lovebirds will receive a souvenir glass, entry into a grand drawing, special discounts, food and all things amour. Tickets are $50. The event runs 11am-4pm. Kick off the most romantic day of the year at Poppy Hills Golf Course. Today&apos;s Valentine&apos;s Golf Social is a 2-person scramble and also includes 2 glasses of wine, range balls, practice facilities and a gift for the ladies. Shotgun start time is 11:30am. $210 per group. For reservations call 831-622-8239. Impress your date with a romance inspired menu at Jacks Monterey. The three-course menu comes with a filet and lobster entree all topped off with dessert and a box of chocolate covered strawberries to go. $74.95 per person. For reservations call 831- 649-7830. Celebrate Valentine&apos;s Day at Tarpy&apos;s Roadhouse. Tonight they offer a special Surf n&apos; Turf special served with a 6 ounce filet, lobster tail, twice baked potato and asparagus. $75 per person. For reservations call 831-647-1444. Dine on a delectable three-course meal at Rio Grill in Carmel. Entree options include pork belly wrapped beef tenderloin with prawns and blue corn tortilla crusted diver scallops. $60 per person, $50 additional for wine pairing. For reservations call 831-625-5436. Celebrate the love in your life this Valentine’s Day at Estéban restaurant, located at the historic Casa Munras Garden Hotel & Spa. Tonight the chef presents a four-course prix-fixe menu including red snapper, quail and decadent desserts. $60 per person. For reservations call 831-375-0176. Tonight The Sardine Factory offers a delicious four-course prix fixe dinner featuring a prawn appetizer, cream of asparagus soup, choice of entree and dessert. $79 per person. A limited a la carte menu will also be available. For reservations call 831-373-3775. 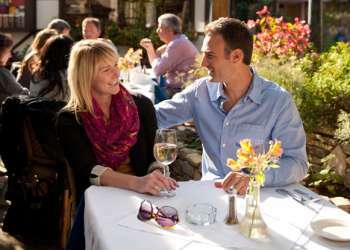 Spend this Valentine&apos;s Day at the Valley Kitchen at Carmel Valley Ranch. Executive Chef Tim Wood and Executive Pastry Chef Tanya Matta will play Cupid with a four-course tasting menu that will have you head over heels, from the first seductive nibble to the last moment on the tongue. $85 per person, $125 with wine pairings. For reservations call 831-626-2599. Pacific’s Edge Restaurant at the Hyatt Carmel Highlands offers an amazing four-course Valentine&apos;s Day menu including entree options like filet mignon, ricotta gnudi and lobster. $140 per person. Call 831-622-5445 to reserve.